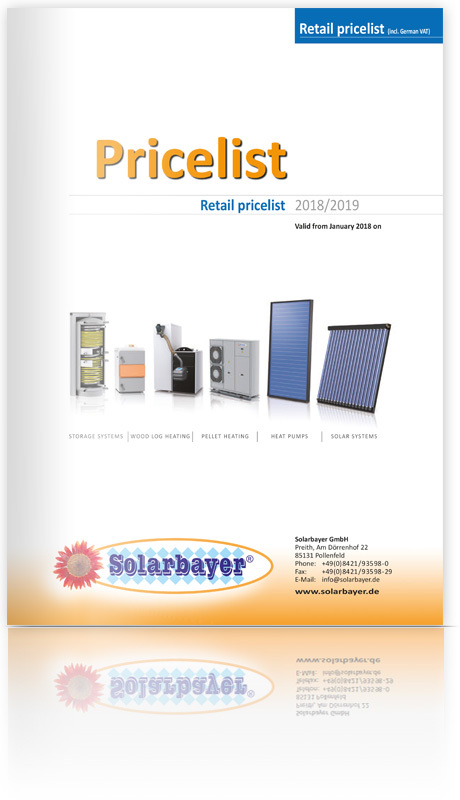 For price information on Solarbayer heat pumps, wood log boilers, solar collectors and storage sytems please download the PDF-version of the recent Solarbayer product catalogue. All prices are including the German VAT of 19%. You also find many heating accessories, high-quality system components and spare parts. If you have further questions, please don't hesitate to ask us.